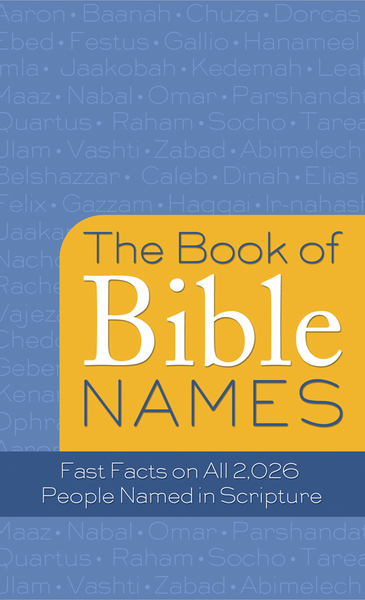 Here’s a quick Bible reference, a fun trivia resource, even a baby names book—The Book of Bible Names, featuring more than 2,000 entries. For every Bible person named—2,026 names and nearly 3,400 individuals—you’ll find relevant information including brief biographies, relevant verse references, and name meanings. It’s a fascinating glimpse into the people of scripture, from Aaron to Zurishaddai.